Here's a really impressive and collector's bass. When the Fender Custom Shop division was starting in the early 90's, they were commissioned to build some exact replicas of two of the most famous basses ever: James Jamerson's "Funk Machine" and Jaco Pastorius "Bass of Doom". Only 100 of each were built at that time and it was the now gone Bass Center in L.A. who took care of their distribution. 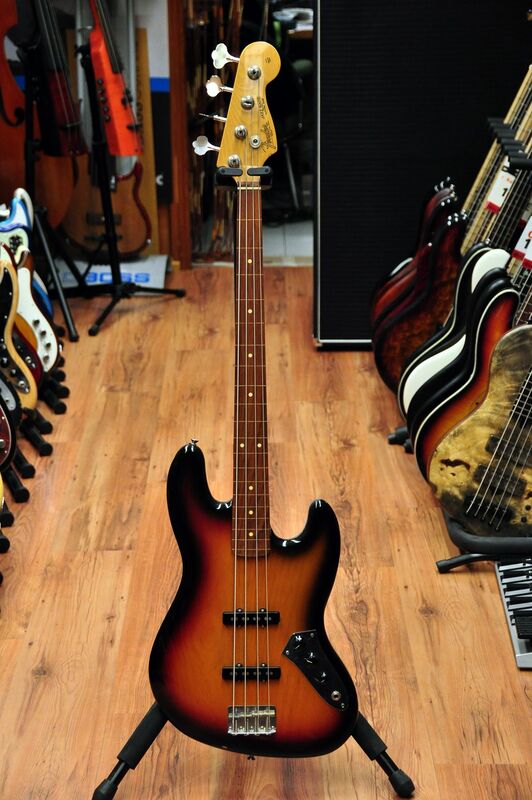 This is probably the closest reissue of Jaco's bass ever. The reason behind this is that Fender called Jaco's luthier Kevin Kaufman to design the bass and check all the process. No corners were cut and Kevin had plenty of time and resources to accomplish his mission. More: Ultra limited Edition (only 100 pieces) commisioned by the extinct Bass Center in Los Angeles to the Fender Custom Shop. Designed by Jaco's luthier Kevin Kaufman. True collector's item.